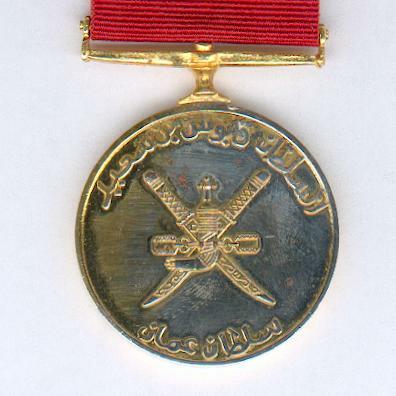 Circular gilt bronze medal with fixed ribbon suspension bar; the face with the national emblem of the Sultanate of Oman, being a pair of crossed Omani swords in scabbards, a sheathed khunjar with belt attachments imposed, circumscribed in Arabic script ‘Sultan Qaboos bin Said Sultan of Oman’; the reverse inscribed ‘lil Khidmat at Taweela’ (for Long Service) in Arabic script within a palm wreath; a few small age oxidisation spots; on original ribbon with glue residue to the upper reverse. 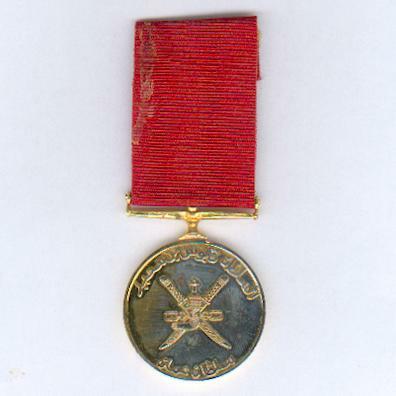 The Medal was instituted by Sultan Said bin Taimur in 1960 for twelve years of continuous service and good conduct in the Omani armed forces. 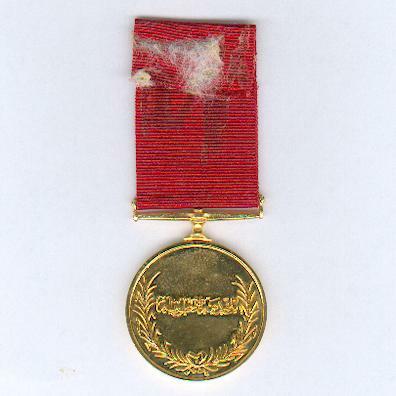 The medal was manufactured by Spink of London. 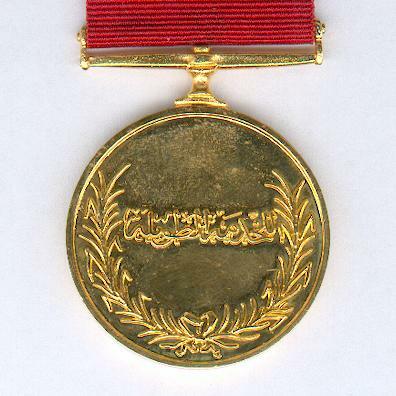 A new version for Sultan Qaboos, as in this example, was produced in 1972.